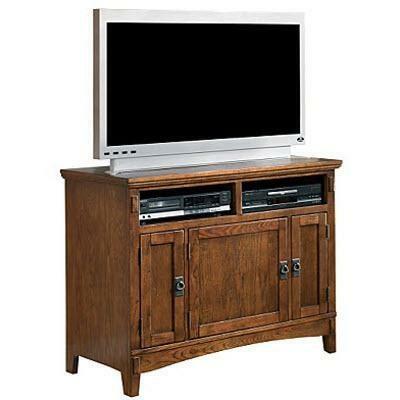 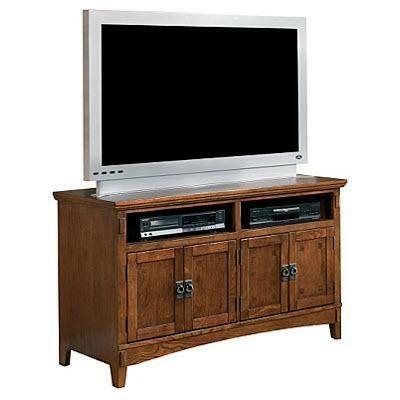 The 50" Cross Island TV stand features the ultimate rustic look and feel for your home. 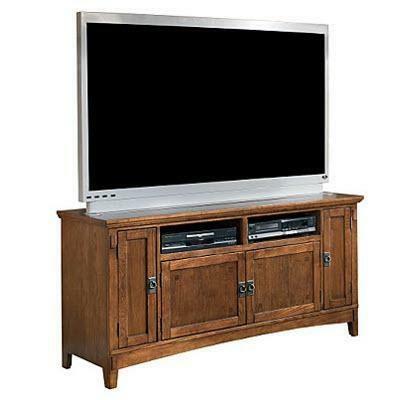 Constructed with select veneers and hardwood solids, topped with a medium brown oak stained finish, the Cross Island TV stand is the perfect addition to any living room environment. 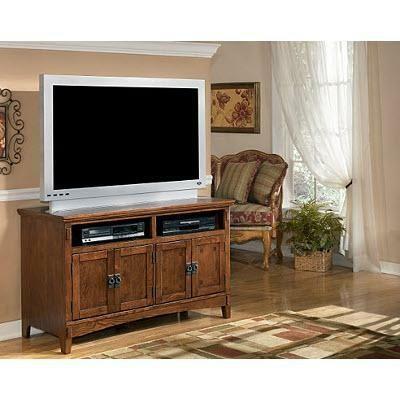 Additional Shelf Information Shelf (2): 22 3/4" x 15 5/8" x 5/8"